“New year, new you,” right? We’ve all got our big goals and dreams for 2018, but before we dive headfirst into it, we wanted to take some time to look back on the organizational and design trends of 2017! It’s not an option for everyone given the limited closet space a lot of people have to work with, but 2017 saw a rise in partner-specific closets to help keep everything tidy and separated. Some people have business suits, some people have tons of high heels, some people hoard sweaters, and not everyone needs these all to blend! Tailor small closets to meet everyone’s needs and you might find yourself getting ready faster and cleaning less. Over on The Shelving Store’s blog, we provided a guide to multipurpose guest rooms, but the idea bears mentioning here. The idea of a guest room that can be easily reconverted back to normal after your visitors have gone home is something anyone with a spare bedroom can benefit from, and you might be surprised at the sort of opportunities one of these can open up for your house. In years past, people would consider monochromatic or single-color decoration and find the very idea bland, but that’s only if you’re not creative with it! A lot of rooms in 2017, from the bedroom to the living room and everywhere in between, have found a new sense of spirit and design by making everything coordinated shades of one base color. 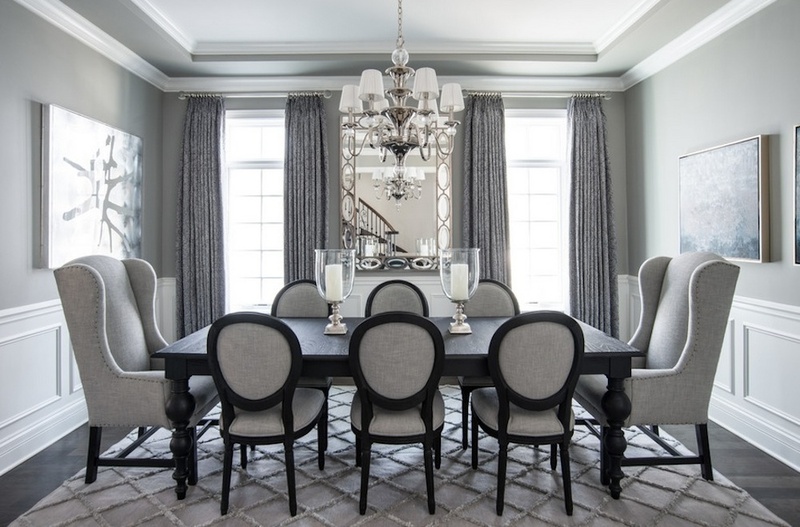 Coordinate carefully around a single color or theme and transform your spaces more easily! We can maybe blame this on “the Mumford and Sons look,” but rustic, woodsy materials, styles, and designs have become increasingly prominent in homes throughout the last year. Bedroom furniture and dining room furniture benefited from this by providing rustic wooden tones to make homes feel more cozy and lived-in, a stark contrast to the bustling urban/suburban environments many people find themselves living in these days, and these one-color environments have been finding a place in more and more rooms and even workplaces. A lot of rooms have found themselves benefiting from a center island, such as kitchen islands or even just a well-placed end table. While this isn’t a concept new to 2017, it’s an idea that’s gained a lot more traction as an easy way to redecorate and add a central ‘anchor point’ to any room for both storage and organization purposes. We’re excited to see what other design and organization trends come our way in 2018—keep an eye on this blog for more inspiration and ideas!